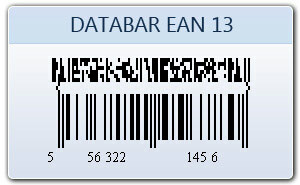 Databar EAN 13 (European Article Number) barcode is 2D barcode symbology that encodes 13 characters. 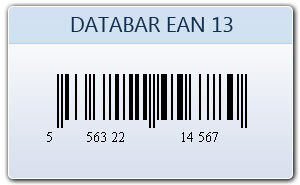 The first two or three digits of data bar EAN13 barcode are country code that uniquely identify the country in which manufacturer is registered. Using barcode labels generator software you can easily generate bar codes in your own style using latest linear and 2D barcode font standards. 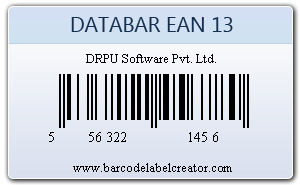 Bar coding system creates EAN13 bar codes stickers, coupons and tags for different business organization.